Having Dad over for dinner, or taking him to a favorite restaurant, is a great way for the whole family to spend time together. Many of residents don’t drive themselves, so getting a trip away from the center to spend times with loved ones is always appreciated. This also gives the family a chance to catch up with Dad – or Grandad as the case may be – altogether. If he’s able, go for a walk with Dad – it doesn’t really matter where. As the rainy months of spring give way to summer, it’s the perfect time to get out and move around. While the weather is dry, it won’t be too terribly warm yet. Easy to navigate hiking trails, or parks with plenty of benches for resting, are a great way to spend time with Dad. Even if Dad is in a wheelchair, he can still join the family for a trip to the local park to watch the grandkids play. If he’s a soccer fan, the Portland Timbers are in full swing right now, and near the top of the Western Conference standings. The Timbers do offer seats that comply with the Americans with Disabilities Act, but it’s best to check ahead for seating availability. Act fast: the Timbers play home games June 2 and June 9 then return home July 7. This is the time of year when youth baseball and softball are starting to get in full swing, too. Taking your Dad to a game featuring agrandkid is sure to put a smile on his face. Is your father a movie lover? Does he enjoy museums, art galleries, or other types of events? Find out what’s going on in the community and invite him to come along. He will appreciate sharing his thoughts with the family, and you may even learn a little bit more about him as well. 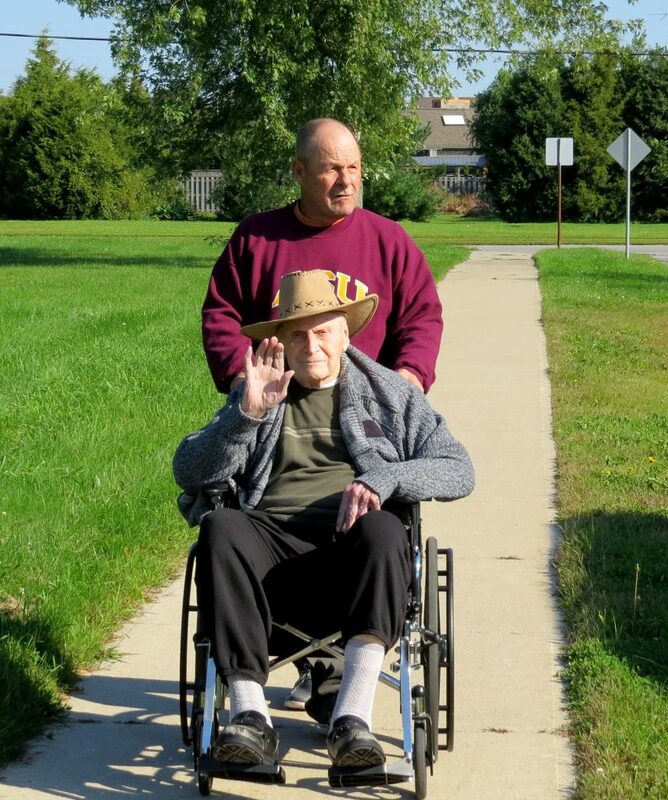 Father’s Day is a special time for many of residents, and by spending time with them, they feel loved and appreciated. Even if it’s a phone call to talk about the events of the day, it’s nice for dads to feel remembered.